What was the most interesting/useful/surprising thing you learned in this class? Have your views on democracy changed since we started, and if so, how? For this, our penultimate course meeting, we’re going to discuss the lived experience of the retreat from democracy and into authoritarian rule. Along with Bermeo’s discussion of democracy’s end in two of Latin America’s most notable dictatorial regimes in Chile and Argentina, we have a short essay by the distinguished Yale historian of totalitarianism Timothy Snyder and another by Cornell political scientist Tom Pepinsky. Snyder and Pepinsky present notably different depictions of what life under authoritarian rule is like, a distinction likely derived from their differing geographic expertise. If we assume for a moment that democracy in Europe and the US is at least a little bit threatened by polarization, globalization and the decline of manufacturing employment in the West, the rise of populism, and the advent of highly partisan media, which vision of authoritarian rule (Pepinsky’s or Snyder’s) seems more likely to arise in these nations? With Monday’s reading, we begin our last new unit, on the potential reasons why democratic governments might become endangered and even break down. In Nancy Bermeo’s book Ordinary People in Extraordinary Times, we are introduced to a basic debate among political scientists–when democracy fails, who is at fault? For most scholars (but not Bermeo), the blame for democratic collapse has usually been laid at the feet of citizens who, in response to both economic problems and the natural difficulties of most democratic systems in making swift, efficient policy, shifted their allegiances from political parties and politicians who supported the democratic status quo to those who were more radically anti-system. In other words, it’s polarization–a growing divide and lack of basic toleration between the “left” and “right” that kills democracy. To what extent does this “polarization” model look like what’s going on today in the United States? Do we see evidence of “too much participation” and engagement in political conflict from civil society? Shifting mass allegiances from system-supporting politicians to disruptors? Or does this not look like what’s going on? According to Dickson’s surveys, how do Chinese citizens define democracy? 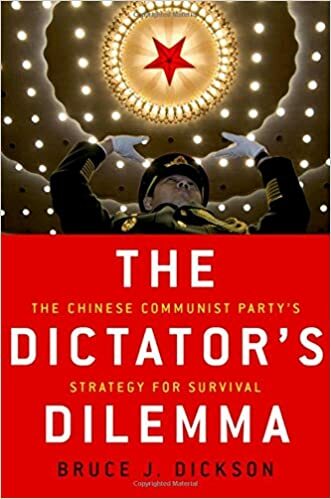 Using our previous readings (particularly Bueno de Mesquita and Smith and Schmitter and O’Donnell) as your theoretical guides, give me an inventory of the CCP’s key strengths and weaknesses when it comes to holding onto power. 2) one of the leaders of the then-ongoing anti-Gaddafi rebellion. If you are Gadaffi, your goal is to stay in power as long as possible while giving up as little as possible in concessions to your opponents. If you are a protester or rebel, your goal is to overthrow Gadaffi or force him to resign, while ensuring that power passes to an elected government (we will for the moment assume that you’re not a committed Islamist looking to establish the sharia and an Islamic state). Using the Schmitter and O’Donnell reading as your guide, please explain what your best strategy would be for realizing your goals. In our articles for this Monday, we can identify numerous ways of strategically engaging in electoral fraud, from the “portable polling places” of Louisville, to police intimidation, ballot box theft, and the infamous vote buying and selling organizations in scenic Adams County, Ohio. In large part, these strategies can be broken down into two categories–fraud that adds to a candidate’s vote total, and fraud that suppresses an opponent’s vote total. Of the two, which one is more dangerous and damaging to democracy? Why? Amidst a wide range of humorous examples and anecdotes, Bueno de Mesquita and Smith have embedded a key argument about why democracies tend to provide better governance than authoritarian regimes–a larger “selectorate,” or coalition size. Why does being forced (in practical terms) to incorporate a larger ruling coalition force political regimes to offer better governance? And what lessons does this provide for considering how to make authoritarian regimes more democratic? 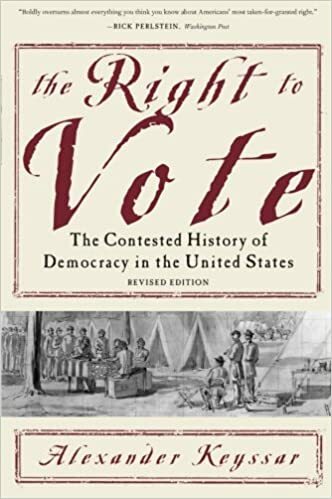 In the Keyssar readings, we see that while voting rights on the whole expanded tremendously for most Americans from the colonial era to the early 20th century, there were many instances in which the deals that expanded political participation for some (typically, white males) led to reductions in voting rights for others. Why were voting rights extended in such a halting, “one step forward, two steps back” sort of way in the 19th century? What sorts of politics influenced the extension of voting rights in this period of US history, and what might these patterns tell us about the emergence of democracy in other countries?